barred by limitation or laches. benefits of the entire service including eligibility for pension. to reconsider his case for pension. This request has remained unanswered. 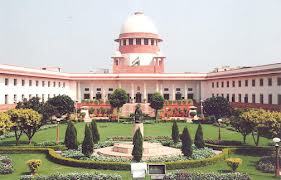 pension, it has already been opined by this Court in Union of India v.
commenced, if such continuing wrong creates a continuing source of injury. settled rights of third parties, then the claim will not be entertained. date of filing of the writ petition. (b) one month in the case of other employees. of him, which sum may be deducted from any moneys due to him. thereafter on giving him three months’ notice or salary in lieu thereof. available from the inception i.e. 1.11.1993.
of his intention to retire. writing to the appointing authority. period of not less than one year. at the time of seeking voluntary retirement. clause (b) shall require acceptance by the appointing authority. consonance with extant Rules and Regulations. consequently shall not qualify for pensionary benefits. of the notice of ninety days. intended date of his retirement. beyond the date of retirement. time or where it is without the permission of the Corporation. Regulations, 1960 and is not covered by the Pension Rules of 1995.
after the pension scheme came into existence with effect from 1.11.1993.
retirement on the other, or distinguish one from the other. India Assurance Co. Ltd., (2011) 12 SCC 197 is on all fours of this case. voluntary retirement in terms of Para 30 of the 1995 Pension Scheme. voluntary retirement shall require acceptance by the appointing authority. not be detached from the purpose and objective of the concerned statute. the purposes of the statutory provisions. after his notice was accepted by the appointing authority. proceedings, the employer can exercise the power. benefit to its employees, instead of curtailing it. State of M.P. v. Yogendra Shrivastava, (2010) 12 SCC 538; M.R. Prabhakar v.
the parties are distinguishable on facts from the present case.